The Library Trustees will be holding a focus group on Thursday, September 13 from 7:30 – 8:30 p.m. to gain insights from Library patrons and residents what the Library provides, and to help the Library prepare its operating plan for the future. There will also be a focus group on Monday, October 29, for those who can’t attend this one. Registration is required to maintain a size conducive to constructive discussion. Please call the Library at (914) 738-1234. The Library is anxious to hear your thoughts! I read this article and found it very interesting, thought it might be something for you. 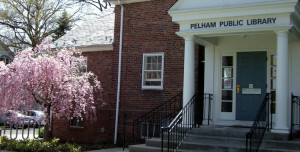 The article is called Pelham Library Focus Groupand is located athttps://www.pelhamlibrary.org/programs/pelham-library-focus-group.